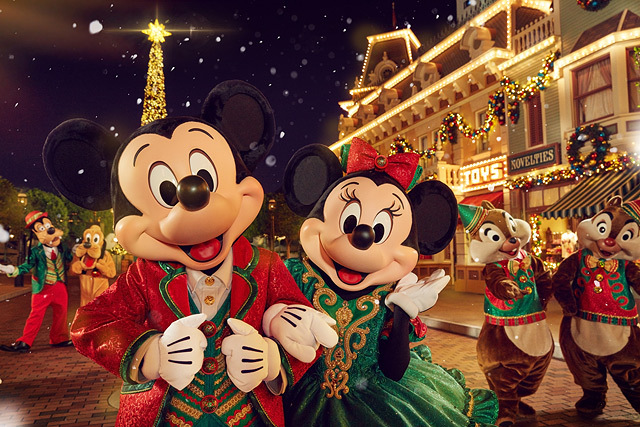 Plan your holiday getaway at the happiest place on earth. 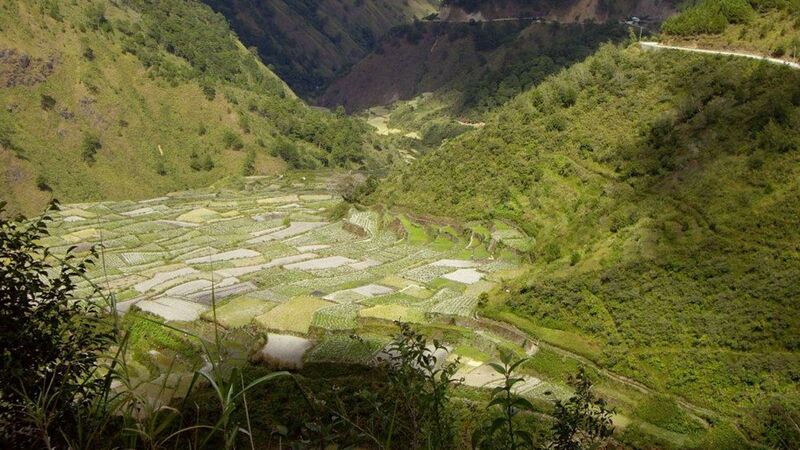 (SPOT.ph) A trip to a magical place sounds perfect for the upcoming holidays. If theme parks are your thing, a visit to Hong Kong Disneyland for a quick escape from the busy Metro is in order. 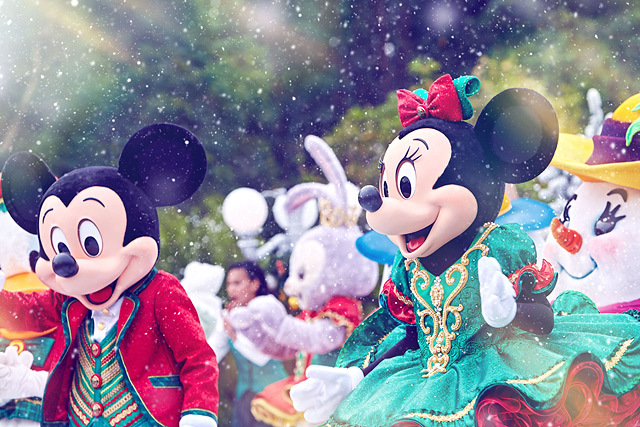 Make awesome Christmas memories with your loved-ones with these fun activities and exciting surprises that Hong Kong Disneyland (HKDL) has on offer this season. Hong Kong Disneyland’s new Christmas tree is 18-meters tall—their tallest so far. “No other Disney park will have a tree like this; [it’s] only in Hong Kong Disneyland, [with] brand new ornaments and a beautiful color palette,” says Randy Wojcik, Hong Kong Disneyland’s creative director for entertainment and costuming in a press interview. At nighttime, you can marvel at all the lights illuminating the said tree. The Mickey and Friends Christmastime Ball was such a big hit with guests last year that they’re bringing it back, this time at the brand new themed stage in Main Street, U.S.A. Join in the fun as Mickey, Minnie, and the rest of their friends perform a 20-minute song-and-dance number in their festive costumes. Pro tip: Be on the lookout for Cookie, a new Disney character who happens to be making her debut in this year’s Ball. Wojcik says there's a great opportunity for guests to sing and dance along, too! The theme park lives up to their promise of magic. For one, you can expect a flurry of snowflakes in several areas of the park. 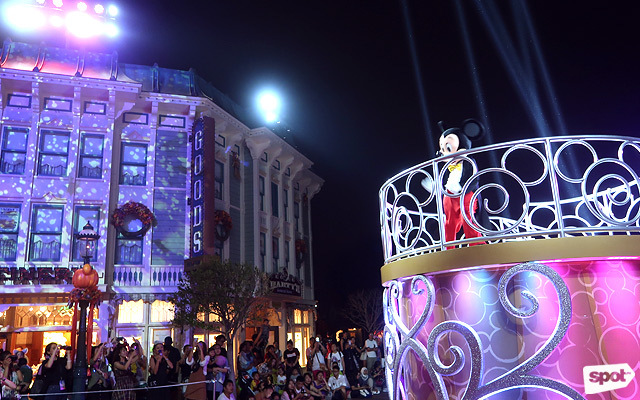 At nighttime, there’s the Magical Twilight Snowfall that coincides with the Disney characters and performers coming together at Town Square along Main Street, U.S.A. But it doesn’t stop there—according to Wojcik, you can expect scents of gingerbread and cinnamon wafting in the air along Main Street, U.S.A. as well. Now how’s that for an immersive experience? 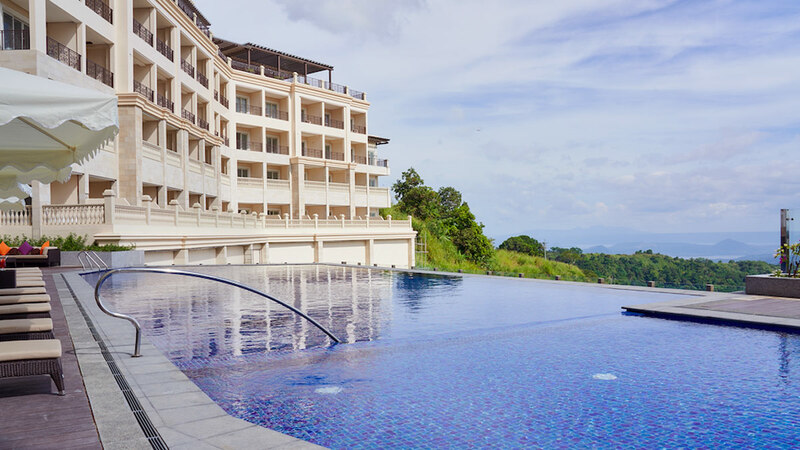 Whether it’s for pasalubong or for gifts, you won’t run out of places to shop at the resort. According to Wojcik, there are over a hundred holiday-themed merchandise items across the shops, where you can find cool items like Mickey and Minnie beanies (that adults can wear!) to customizable holiday cards unique to HKDL. If you have more time to spare, drop by the Holiday Market at Fantasy Gardens in Fantasyland for more shopping choices. 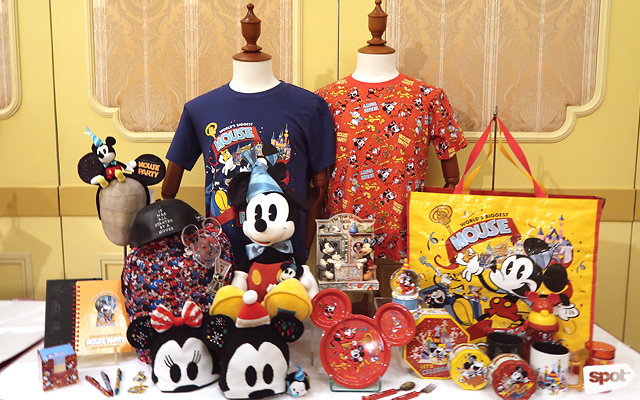 If you still can't get enough of the Mickey Mouse-themed things in the Metro, you can get your fix here as HKDL also celebrates the 90th anniversary of the beloved Disney character. The We Love Mickey! lights-and-sounds video-mapping show features Mickey's milestones projected on the buildings along Main Street, U.S.A. The show revolves around Minnie Mouse throwing Mickey a birthday surprise, but it’s not just Mickey who’s up for a surprise at the end. Mickey fans can also bring home a Mickey Sip Sip commemorative cup, an HKDL exclusive item available at the outdoor vending carts and designated dining venues throughout the resort. 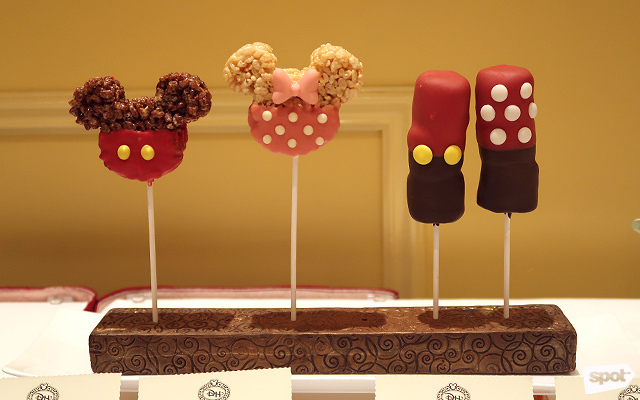 Across the resort are over 80 kinds of food and beverages, which range from Disney character-inspired desserts to Christmas-inspired desserts (the marshmallow and crispy rice lollipops are Instagram-worthy!). 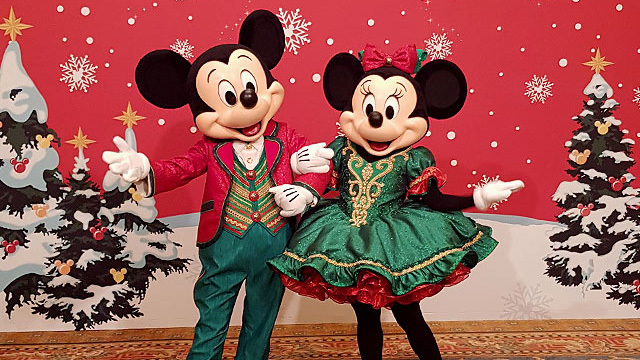 For more dining options, check out Walt’s Café for Christmas afternoon tea or head over to Hong Kong Disneyland Hotel and partake of their special dinner sets. No, you don’t have to make it a day trip—Pinoys who book at any of the three hotels in the resort (Disney Explorers Lodge, Disney’s Hollywood Hotel, or Hong Kong Disneyland Hotel) can get up to 20% discount on a guest room. Not only that, you get a free room upgrade and an Attraction Priority Admission Pass at the park when you book online. This promo runs until February 13, 2019. Each room comes with a collectible souvenir set that includes a themed amenities box, Disney slippers, and a door sticker. 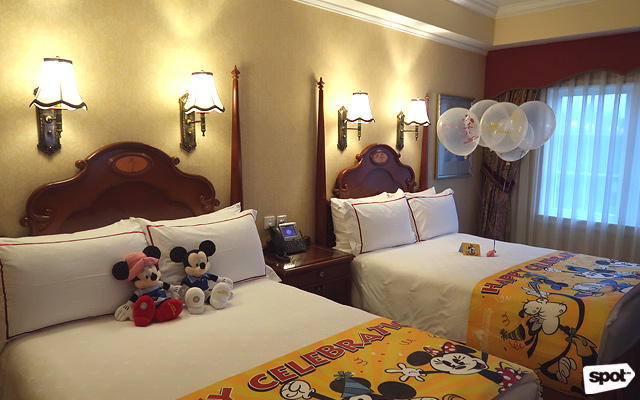 If you’re feeling more festive, book a celebration-themed room, which comes with Mickey Mouse bed runners and balloons, among others. Meanwhile, their Hong Kong Disneyland “2-Day Fun” Special Package lets you score a 2-Day Ticket at HK $699, alongside merchandise discounts worth HK $30, and one free popcorn. This deal runs until December 31. You can chance upon Santa Goofy at the Christmas Post Office in Main Street, U.S.A., where you can send a collector’s item postcard (with a special commemorative postmark) to your friends back home. “Not many Disney parks do this. I think we're one of the very few where guests get to go in write out a special holiday wish to a loved one,” shares Wojcik. Santa Goofy also caps the day at the park as he leads a short serenade called A Holiday Kiss Goodnight. Catch him and the Christmas carolers surrounded by beautiful lanterns on the Town Square’s Train Station steps just before the park closes!